Ripple’s software solutions are popular with both small and large companies. Institutional investors however are particularly interested. Ripple’s market report of the past quarter shows great progress in the adaptation of Ripples’ technologies. 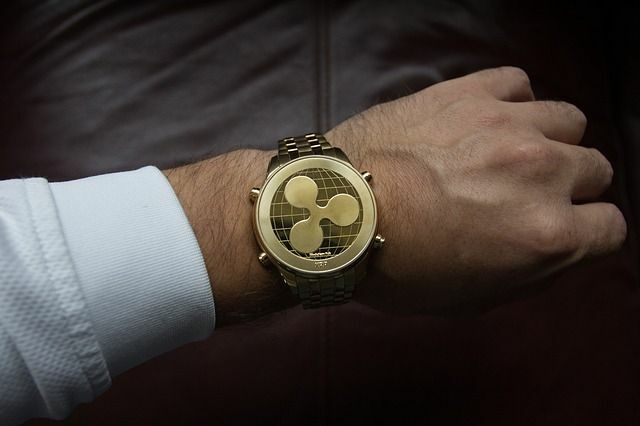 According to the report, Ripple more than doubled its XRP revenue last quarter. Compared to the Q2, Ripple sold $ 163.33 million in digital assets in Q3, vs. $ 73.53 million in Q2. The largest share of increased sales came from the sale to institutional investors. 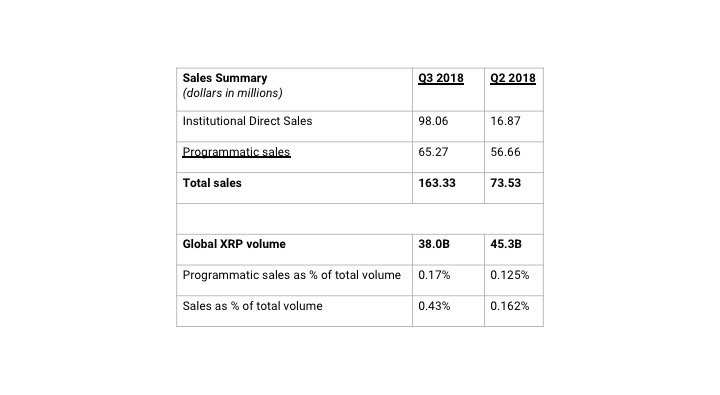 In Q3 Ripple sold $ 98.06 million to institutions, compared to $ 16.87 million in Q2. In comparison, the total market capitalization of all cryptocurrencies decreased by more than 12 percent, which also affected XRP. XRP’s price decreased 13.37 percent over the last 30 days to the current price of $ 0.46. Q3 will definitely be a growing institutional stake in buying and interest as well as holding XRP. The volatility of XRP was less intense during Q3, but increased within the last two weeks as the price of XRP increased significantly. In Q4 2017, Ripple froze $ 55 billion XRP in a cryptographically secured escrow account to ensure the liquidity of the network at all times. In the third quarter of 2018, a total of 3 billion XRP was released from the account, one billion per month. Large institutional investors continue to be heavily interested in cryptocurrencies. Many heavyweights in the industry such as Goldman Sachs or Nomura Holdings announced that they are working on technical custody solutions to securely hold large amounts of capital that are also extensively hedged. Coinbase was granted permission by the New York Department of Financial Services to offer custody service through a subsidiary for a variety of cryptocurrencies. According to reports of the Abacus Journal, allegedly all issues related to the approval of the Bitcoin VanEck ETF have been resolved. A SEC approved ETF could significantly ease investors’ entry into the crypto market and inject new capital.